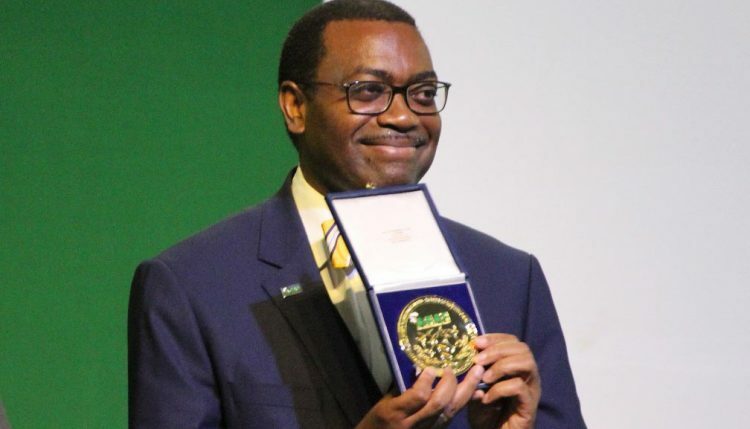 Akinwumi Adesina, President of the African Development Bank (AfDB), became the first laureate of the Forum for Agriculture Research in Africa (FARA) award for leadership in advancing the agriculture agenda in Africa. Akinwumi Adesina receives the FARA award in recognition of his visionary leadership. The award aimed at recognizing an individual who had made significant personal achievement in efforts towards creating a more food secure continent. Adesina received the award during the Africa Agriculture Science Week organized by FARA in Kigali, Rwanda 13–16 June. He was cited as an accomplished agricultural economist with over 25 years of experience at national, regional, and international levels. His achievements in reforming the agriculture sector in Nigeria while he was the Agriculture Minister were highlighted including reforming the fertilizer industry. 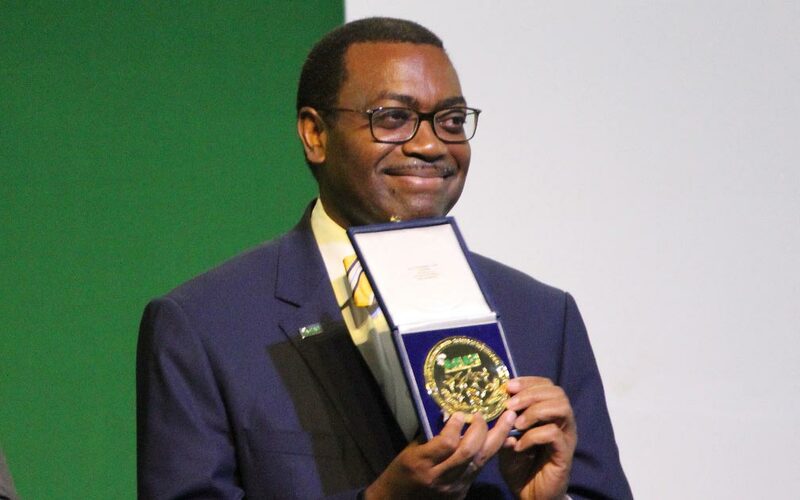 A clearly moved Adesina said he was humbled by the award which he dedicated to all smallholder farmers in Africa for whom he poured all his efforts towards improving their livelihoods. Adesina had earlier on given the keynote speech of the opening session of the science week where he noted that current underinvestment in agriculture has left millions of people in poverty in the continent. “Today, Africa spends $35 billion on importing food. This is projected to grow to $110 billion by 2025. Africa is importing what it should be producing, creating poverty within Africa and exporting jobs outside of Africa,” he said as he further went ahead to make a case for investing in agriculture and pledged AfDB’s support. Bank – and a big deal for Africa. It will represent a 400% increase in financing to the agricultural sector by the Bank,” he said. Also feted at the event was Paul Kagame, the Rwandan President who received the President’s award for his efforts in developing Rwanda’s agricultural sector. It was received on his behalf by the country’s Prime Minister Hon. Anastase Murekezi, who said that it was a well-deserved award for the president. Adesina is also an alumnus of IITA where he served as a program leader in the IITA Resource and Crop Management Division based in Cameroon from 1992 to 1998.